In our Produce Department, you’ll find fabulous fresh fruits and vegetables grown locally and around the world. Schnucks buys directly from growers who ship straight to our warehouses and stores to bring you the freshest produce. We monitor the temperature of produce from farm to warehouse. Preserving produce temperature ensures freshness! Taste is everything to our buyers. At Schnucks, you’ll find produce, including locally grown seasonal fruits and vegetables, only when it tastes the best. Once in store, our Produce teammates have a rich knowledge of produce from traditional to exotic. Just ask! Plus, you’ll find a variety of Certified Organic produce. Fruits & Vegetables Cut Fresh In Store! Cut prep time in half with Short Cuts. Perfect for snacking or parties – save time with our large selection of fresh-cut fruits and vegetables available in our Produce Department. Our produce teammates are committed to bringing you the freshest fruits and vegetables in town. In the field, we verify that our growers meet our high standards. Then, we inspect the fruits and vegetables for the best flavor and quality. In transit, we continuously monitor the temperature of the produce for peak quality, taste and freshness. And in our grocery stores, you’ll find only the “Best of the Best” produce! We’re proud to partner with Driscoll’s to bring you only the finest berries grown on family farms at the highest quality. Driscoll’s is known for sustainable and responsible farming. Juicy, sweet Driscoll’s® berries are low-calorie, high-fiber treats filled with vitamins, minerals and antioxidants. Stop by and get the pick of the berry crop in our Produce Department! Comparing our selection of apples to any other store’s is like comparing apples and oranges, because we’ve got the largest variety of apples in town. 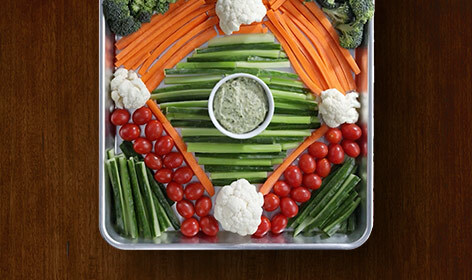 Serve crowd favorites to make this appetizer a home run! 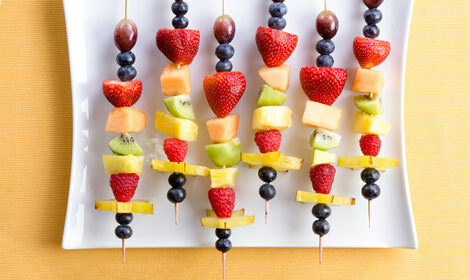 Fun, fresh and always a kid-favorite! 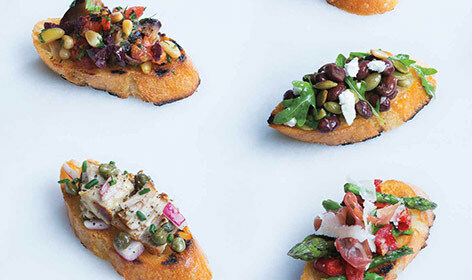 Dress up the traditional bruschetta with new and fresh flavors.